The Supreme Court confirmed the judgment of Bombay High Court which had set aside direction issued by the Competition Commission of India(CCI) to probe Jio's allegation of cartelization by telecom service providers Idea, Airtel and Vodafone. Yesterday, a bench of Justices A K Sikri and Ashok Bhushan dismissed the appeals filed by CCI and Reliance Jio against the Bombay High Court's judgment. Jio had approached CCI in November 2016 alleging that Idea, Airtel and Vodafone had entered into anti-competitive agreement to deny Point of Interconnection(POI) services to Jio during its test phase and after its commercial launch in September 2016(Without sufficient POIs it is not possible for subscribers of one service provider to make calls to subscribers of another service provider). It was also alleged that these companies were denying mobile number portability requests to customers who wanted to switch to Jio. The Cellular Operators Association of India(COAI) was also alleged to be facilitating the cartel arrangement between Idea, Airtel and Vodafone to oust the new entrant Jio. The CCI issued order under Section 26(1) of the Competition Act directing the Director General to probe into the allegations, after prima facie finding that Jio was subjected to anti-competitive practises, with a 3:2 majority in a 5 member bench. The dissenting members opined that facts before the Commission were insufficient to support conclusions of anti-competitive practises. The Bombay High Court set aside this order, accepting the contention of other telecos that CCI had no jurisdiction to deal with the matter unless the issues are settled by authorities under the TRAI Act. It was challenging this conclusion of Bombay HC that CCI and Jio approached the SC. 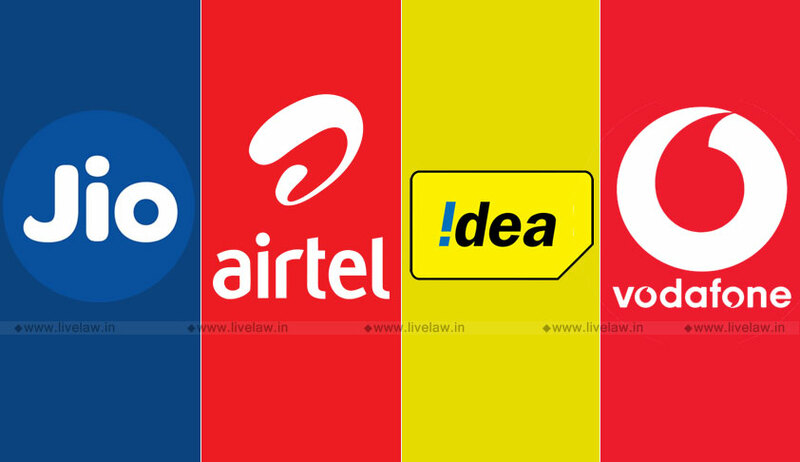 The SC held that allegations, in effect, pertained to violations of Interconnect Agreements and obligations under TRAI Regulations by Idea, Airtel and Vodafone against Jio, which fell with the specialized domain of TRAI(Telecom Regulatory Authority of India). Therefore, without TRAI examining the issue first using its domain expertise, CCI should not venture to deal with it.
" since the matter pertains to the telecom sector which is specifically regulated by the TRAI Act, balance is maintained by permitting TRAI in the first instance to deal with and decide the jurisdictional aspects which can be more competently handled by it. Once that exercise is done and there are findings returned by the TRAI which lead to the prima facie conclusion that the IDOs(Incumbent Dominant Operators) have indulged in anti-competitive practices, the CCI can be activated to investigate the matter going by the criteria laid down in the relevant provisions of the Competition Act and take it to its logical conclusion", held the judgment authored by Justice Bhushan. The appellants argued in SC that Competition Act and TRAI Act are not exclusive to each other and that they operate in their respective fields. While TRAI's jurisdiction pertains to violation of license conditions and Regulations by telecos, CCI's jurisdiction pertains to anti-competitive practises adopted by telecos in the relevant market of telecommunication. The defence of other telecos was that they had provided required POIs to Jio, and that Jio was providing free service to millions of users under the guise of testing which led to choking of POIs. It was further contended by them that due to the free service provided by Jio, a substantial imbalance in voice traffic had occurred for which the existing operators were not adequately compensated under the Interconnection Usage Charges regulations (IUC) in place. Also, during the test phase of Jio, there was no obligation to provide interconnect services in terms of TRAI Regulations. The SC noted that the obligation to provide interconnectivity flowed from the conditions of unified license granted to telecos, and also the interconnect agreements entered into by the telecos as per Telecommunication Interconnection (Reference Interconnect Offer) Regulations, 2002. Therefore, the dispute essentially touched upon compliance of obligations under TRAI Act and Regulations by telecos. Also, to examine the merits of the claims made by the telecos, sectoral expertise of TRAI was called for. It also noted that TRAI was already seized of the matter on a complaint by Jio, when the CCI order was issued. "TRAI,being a specialised sectoral regulator and also armed with sufficient power to ensure fair, non-discriminatory and competitive market in the telecom sector, is better suited to decide the aforesaid issues", the Court observed. "Having regard to the aforesaid nature of jurisdiction conferred upon an expert regulator pertaining to this specific sector, the High Court is right in concluding that the concepts of “subscriber”, “test period”, “reasonable demand”, “test phase and commercial phase rights and obligations”, “reciprocal obligations of service providers” or “breaches of any contract and/or practice”, arising out of TRAI Act and the policy so declared, are the matters within the jurisdiction of the Authority/TDSAT under the TRAI Act only. Only when the jurisdictional facts in the present matter as mentioned in this judgment particularly in paras 56 and 82 above are determined by the TRAI against the IDOs, the next question would arise as to whether it was a result of any concerted agreement between the IDOs and COAI supported theIDOs in that endeavour. It would be at that stage the CCI can go into the question as to whether violation of the provisions of TRAI Act amounts to ‘abuse of dominance’ or ‘anti-competitive agreements’. That also follows from the reading of Sections 21 and 21A of the Competition Act, as argued by the respondents"
Allowing CCI to intervene at this juncture would mean that it has to return findings on issues which are falling within domain of TRAI. This may lead to both authorities having conflicting views. However, the Court did not agree with the respondents' contention that TRAI has sole jurisdiction to deal with the issue, to the exclusion of CCI, as matter pertained to telecom market. The anti-competitive aspects relating to conduct of telecom companies can be certainly examined by the CCI, and consequences under Competition Act will flow in case of violations. Both the authorities retain their jurisdiction over their respective fields. But, to strike a balance in this dispute, it is necessary that CCI act only after jurisdictional facts are determined by TRAI.